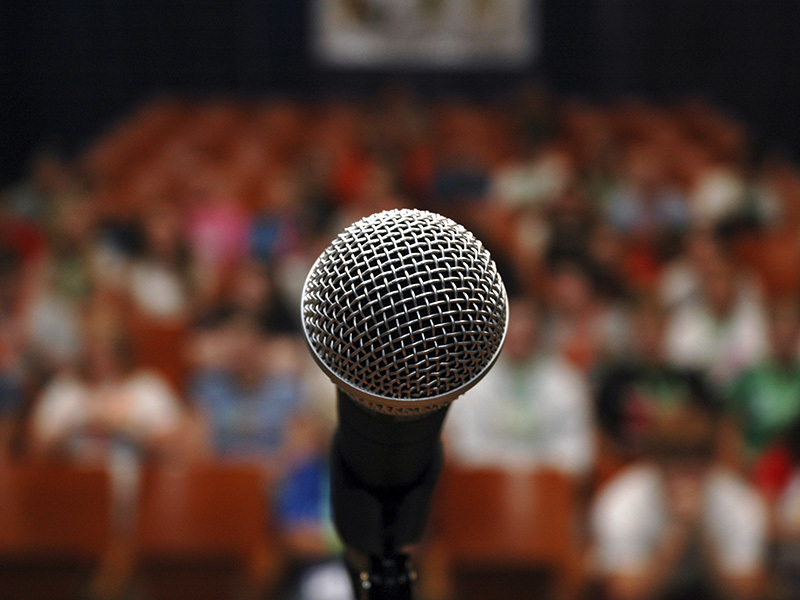 “If you don’t do stand-up… don’t do stand-up.” When giving a presentation, using humour is good. It can create a connection with an audience, warm up the atmosphere and – dare I say it – introduce an element of fun to proceedings. Imagine that! However, I am always surprised at how people (many of whom should know better), will try and kick their presentation off with a badly contrived joke. It’s as if being on stage is the green light to indulge the inner stand up comedian. Unfortunately, the result is usually as predictable as the punch line. Awkward. That is why my mantra is always if you don’t do jokes.. don’t do jokes. The comedians that live (and occasionally die) on stage have chosen their career for a reason, which is they do have a genuine talent for making people laugh. I have tremendous respect for these battle-hardened warriors. If you thought it was difficult pitching a presentation on sales figures to a table of industry heads, try to imagine the fear of taking the stage at the Glasgow Empire, notoriously heralded as the comics’ graveyard! As such, and leaving the actual comedy aside, there’s a lot to be learnt about presentation from stand-up comedians. Whether On stage at the Glasgow Empire, a purpose built conference hall or a stuffy boardroom overlooking a business park, fear is part of the process. Many stand-ups talk about the need to be comfortable in oneself, having a bit of self-belief. After all, how are they supposed to convince an audience to laugh if they have no belief in their material? The same can be said for any presentation; convince yourself and you have the power to convince others. Such belief will also help to insulate you from any in-speech wobbles. While we’re on the topic of belief, remember this! Despite your fear of bombing in front of an audience, very few audiences are willing a speaker to bomb (the chamber of the House of Commons being one notable exception) – it only makes for uncomfortable viewing all round. A good tip a stand-up once shared with me is to approach the stage with an air of detachment – inhabit an on- stage persona that is ‘in control’ and impervious to any slings and arrows that the audience may throw your way (possibly literally in the case of the Glasgow Empire). Practise is also the stand-up’s best friend. Every time a comedian begins a gag with a seemingly throwaway line, know that that line has actually been so well rehearsed that it may as well have been set in stone. I am a huge advocate of practising material prior to a speech or presentation. Only by hearing your words out loud will you be able to identify sentences that become a mouthful once they have left the page, eliminate repetition and waffle, and gain a sense of rhythm that will be easy on an audience’s ear. The last stand-up skill to consider is that of assessing the situation. It is the mark of any great stand-up and is an essential skill for anyone stepping up for a presentation. Whether it’s being able to spot that you’ve got a low energy group after a heavy lunch break, adjusting to a discovery that the crowd you have is not the crowd you were expecting or just being prepared for the tech going wrong, you can turn it to your advantage. Acknowledging the ‘elephant in the room’ on these occasions is (at last!) your chance to unleash the inner comedian, with a well observed witticism that acknowledges a universal truth. It will be spontaneous, off the cuff, well received and guess what – you will probably get a laugh. At this point, gratefully accept your audience’s appreciation and move on with the serious stuff! Luan de Burgh is a speaker, writer and founder of de Burgh Training – a specialist business communication training provider dedicated to helping people perform at their highest potential.